Edit: If you came here looking to read about biomes because we accidentally linked the email sendout to this page rather than the proper post, well, just go to the correct post here! It’s me again! And you know what that means: we’re overhauling one of Clockwork Empires’ gameplay systems and I’m here to talk about it. It’s got to do with these things. This time it’s ore and metalworking. Like many of our systems that end up getting overhauled, ore’s legacy mostly relates to the game’s context at the start of Early Access. We needed a way for people to acquire and smelt ore before mines were added to the game, so we created Ore Surface Nodes that you can mine without a building! We eventually implemented proper underground mines, but the system was opaque and confusing, so most players – understandably – stuck with what they know, and that’s surface ore. Thus they were popular and we didn’t remove them. At the same time, early builds of Clockwork Empires only allowed one of each type of ingredient when making items in a workshop. This resulted in a system where one ore would become one iron bar which would become one metal plate. 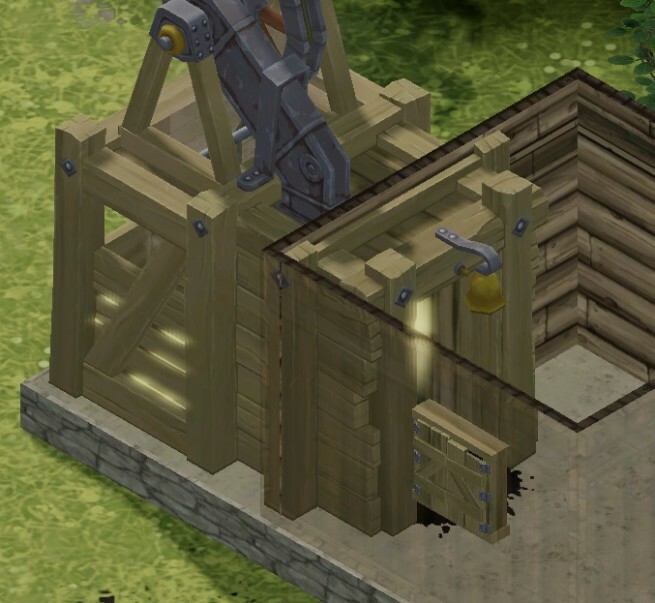 This prevented the kind of scaling-up economy we envision for the late-game, where skilled overseers and high quality modules are required to produce resources en masse. Now that office and workshop UIs are easily modifiable via Lua and XML, multiples of the same commodity can be used in workshop recipes, and mines are bug-free (if still more opaque than we would like), it seemed like an opportune time to push this system closer to where we’d like it to be. What treasures might await within…? Slowing down the metal phase of the game: Previously we gave a lot of metal and ore to you for free once you find any metal at all, practically skipping the gameplay of this entire section. To prevent this, we’ve increased the amount of ore it costs to smelt one ingot as well as the number of ingots required to make products like metal plates. Some of the costs of items have been rebalanced as a result, but overall this should mean that long term mining will become useful rather than remaining a do-once job. Encouraging use of underground mines over surface nodes: Mines aren’t perfect right now, but we still want to push players more toward using them rather than playing the surface-ore hunt. As such, the frequency and yield of nodes has been decreased. 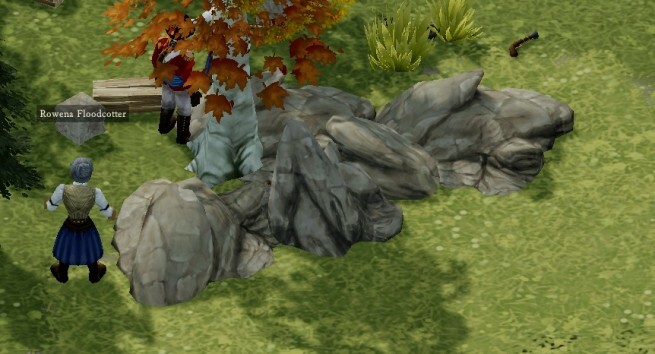 Making ore hunting slightly less painful: Previously, if you had something specific in mind you wanted to make, you’d basically have to hope to trip over that ore type. To help with this, we’ve added more ore to the goods that traders bring to the trade depot, and added a special “ore trading mission” to Stahlmark via the Foreign Office; this should allow players who know what they want to easily target those resources. We’ve also made it so stone has a low chance of dropping random ores, to help kick-start the mining process. Making coal a little less binary: Previously, coal was handled one of two ways: either you built a charcoal kiln first thing and burnt tons of wood, never worrying about coal again, or you found a coal node and mined tons of coal, never worrying about coal again. To make this a little more interesting, we’ve provided all mines with a small amount of coal output so that mining players have a source at all times – but ideally a source that provides a bit less than they need to smelt all their ore. (This first experimental, 48B, gives way too much coal however, so we’ll be nerfing that in the next build.) To counterbalance this free source, the stone charcoal kiln has been removed and a small iron cost has been added to the brick kiln. The ideal arc we’d like to see here is one where players start with coal from mines then transition into kilns to really get their industry going, but we’re starting out with a fairly light hand on the wheel – we’ll see how things go. You’ll be doing a lot more of this in the future, ideally. Make mines less confusing: There’s a lot of info we need to tell the player up front that we’re not. However, the means to convey this information need engine programmer time, so this change is going to have to come somewhat later. We’ll be looking into low-coding-cost ways to help with this in the meantime. Allow more significant use for mass metal production: This will come with time and additional content (particularly conduits!! ), as well as improvements to hauling and production. Right now, characters take a fair while to individually haul items to workshops, which limits the scale at which we can expand costs. Once this bottleneck is opened, we can be a lot more flexible with larger scale economies. As always, we’re looking forward to player feedback in the forums as we continue to iterate on these systems. There’s a whole lot going on in this game, and at this point we’re adding and fleshing out major systems practically every week. It’s an exciting time to be working on the game, and things are only going to get more interesting! 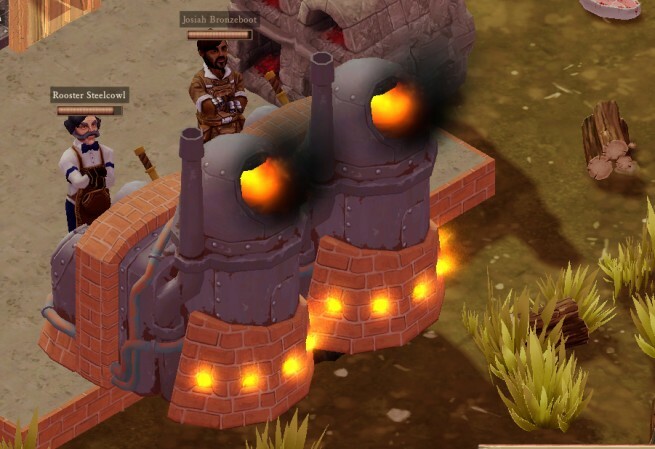 Posted in Clockwork Empires	| Tagged aye we've struck a rich vein of nerf ore but it just made the worst ingots, david promised he'd let me use exclamation marks and then removed some of them, eleven exclamation marks appear in this blog post, Important - yes. Critical - absolutely! I would go so far as to say that anthracite coal alone makes our present economy possible., Resources exist to be consumed. And consumed they will be if not be this generation then by some future., Some civilian workers got in among the early access players today and became so hysterical I felt compelled to have them nerve stapled. Another concise explanation of an interesting shift in design! It’s refreshing to see your team re-assessing older systems and features, to make sure you really hone in on the experience you’re trying to create. It’s fantastic game development. Keep it up! I can’t wait for conduits. Development of the game has finally reached the point where their lack is beginning to really show, which is actually quite exciting. I guess the laws of thermodynamics had to catch up with me at some point. Can’t have free energy for ever! One thing, though: how do you fix the loop caused by the fact that the mineshaft needs a metal plate as one of the construction elements? It’s pretty much the same thing I pointed out in regard to the Forge just before you changed the starting loadouts. It’s a good thing the mineshaft was changed to just needing 3 planks and no longer an iron ingot. I think at some point, there should be a way to see mineralogical survey results without hunting down every single spot you’ve found. Perhaps include a list of surveys in the Naturalist’s Office window that lets you scroll through them and click on one you find interesting to take you to it. Will there be conduits such as conveyor belts that can be used to move ores around?